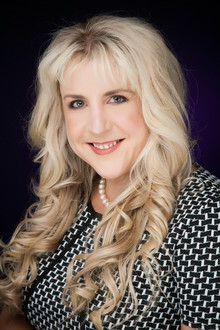 Denise O'Leary of South West company Purpol Marketing will be a keynote speaker at the 2019 Women In Construction summit next month. She provides consultancy for marketing strategy & tender bid management especially in construction & manufacturing. Purpol Marketing founder Denise O’Leary is heading to London after being invited as a keynote speaker at the Women in Construction Summit on Thursday May 16. She will be joining 1,000 women and men in construction for a day of empowerment and change. Denise’s speech - ‘From Engineering via Manufacturing to Construction - Steps to Become a Diversity Champion’ - will showcase how every stage of your career can pay dividends in the next. She will explain how as the founder of her own marketing and bid writing agency, each role she's held has provided learning to build a positive foundation for future stages. She will share practical solutions and expertise to provide delegates with a plan of action to help them drive their career forward, disrupt the status quo and champion greater diversity, equality and inclusion. “I am delighted to be invited to share my experience as part of this amazing inclusive and diversity event championing Women in Construction. I am looking forward to inspiring others to achieve great things and amplify the success of their career and business. Being part of such a vibrant community of like-minded professionals is a great honour." Denise founded Purpol Marketing to provide specialised consultancy for marketing strategy and tender bid management specifically to SMEs with a key focus on the construction and manufacturing sectors. She has been recognised as the national Best Business Woman in Marketing and PR. Her company recently celebrated its fifth birthday and is continuing to help others leverage marketing expertise to create strategies to help them win more business more often, as shown by a 95% success rate. Following a sell-out conference last year, the Women in Construction Summit is returning to provide inspiration and insight from the industry's most influential women and best-in-class networking. The Summit is also CPD certified, allowing attendees to contribute six hours towards their Continuing Professional Development requirement.